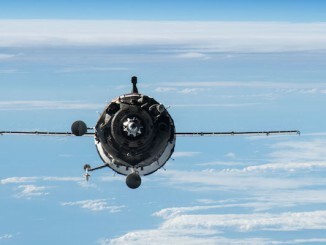 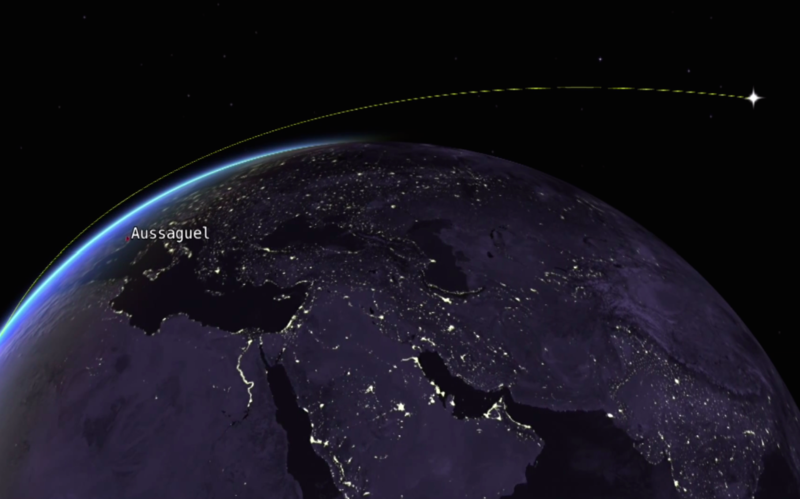 Follow the key events of the Soyuz rocket’s ascent into orbit from the Guiana Space Center with two satellites for Europe’s Galileo navigation system. 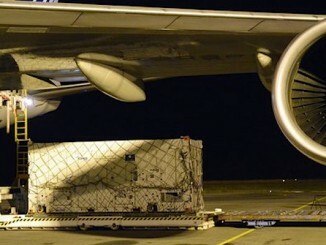 A listing of exact times for the flight’s major events is posted below. 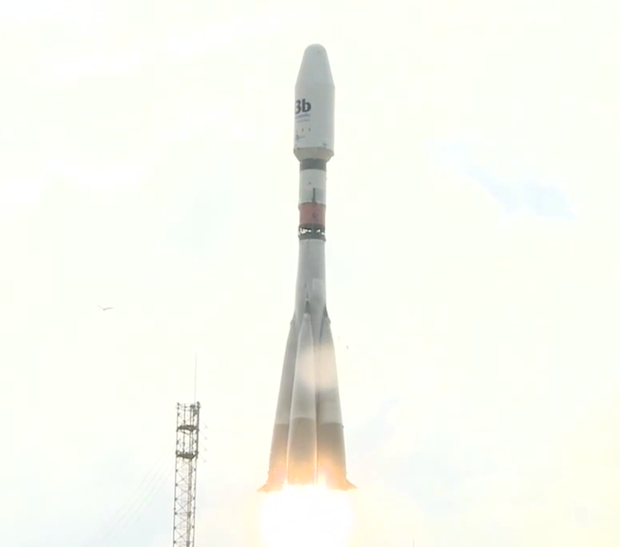 Producing more than 900,000 pounds of thrust, the Soyuz ST-B (Soyuz 2-1b) rocket soars into the sky from the Guiana Space Center. 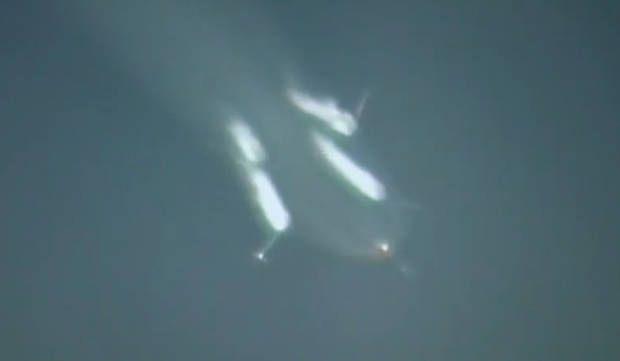 Having burned its propellant, the core stage of the Soyuz rocket, also known as the second stage, separates and the third stage’s RD-0124 engine ignites to continue the flight. 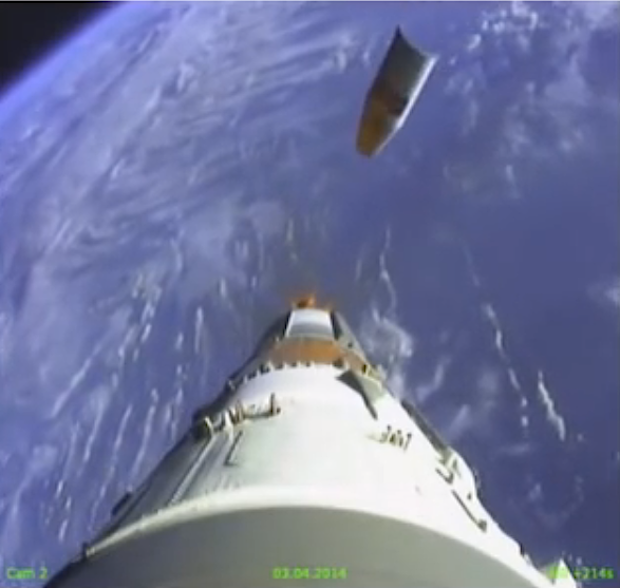 The Soyuz rocket’s third stage releases the Fregat-MT upper stage just shy of orbital velocity. 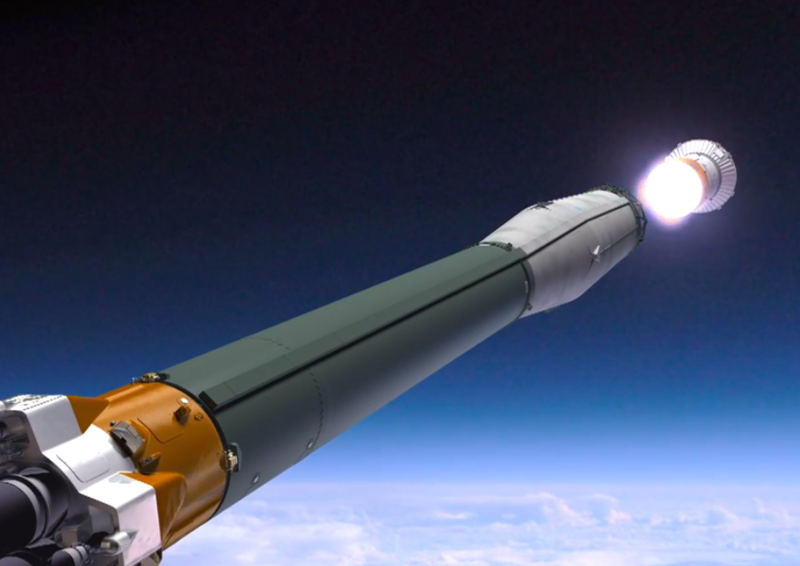 The hydrazine-fueled Fregat upper stage ignites to place the Galileo satellites in an elliptical transfer orbit. 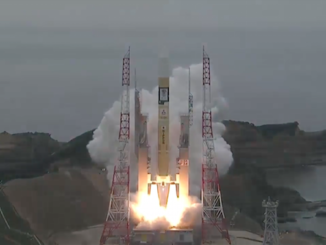 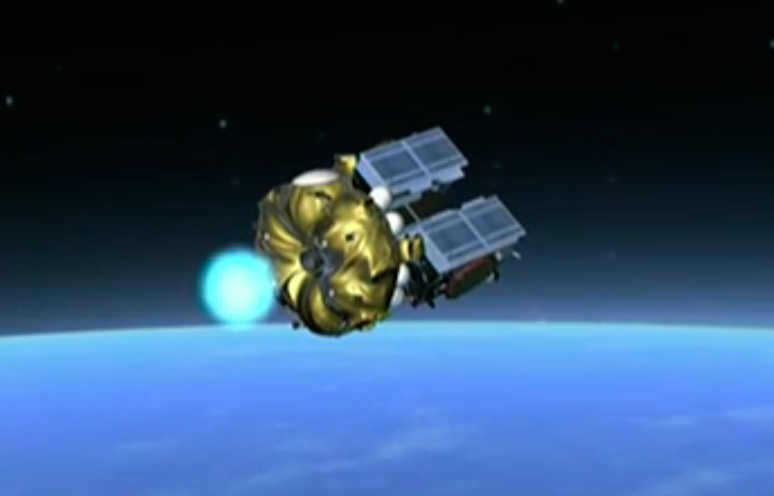 After a 13-minute, 8-second burn, the Fregat upper stage shuts down to begin a 3-hour, 15-minute coast phase. 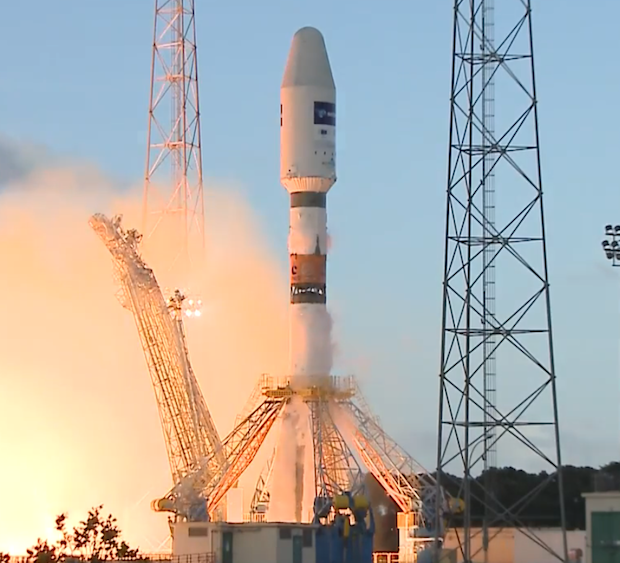 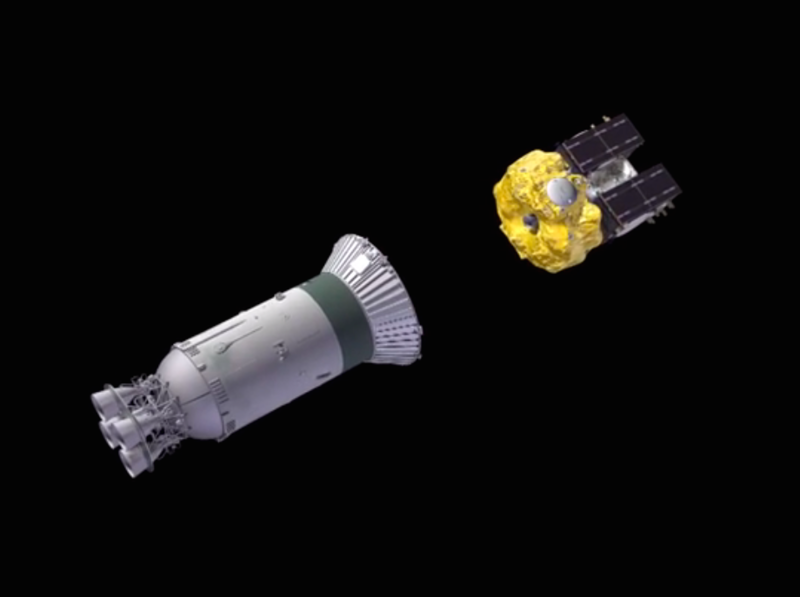 The Fregat main engine ignites to circularize its orbit before deployment of the two Galileo satellites. 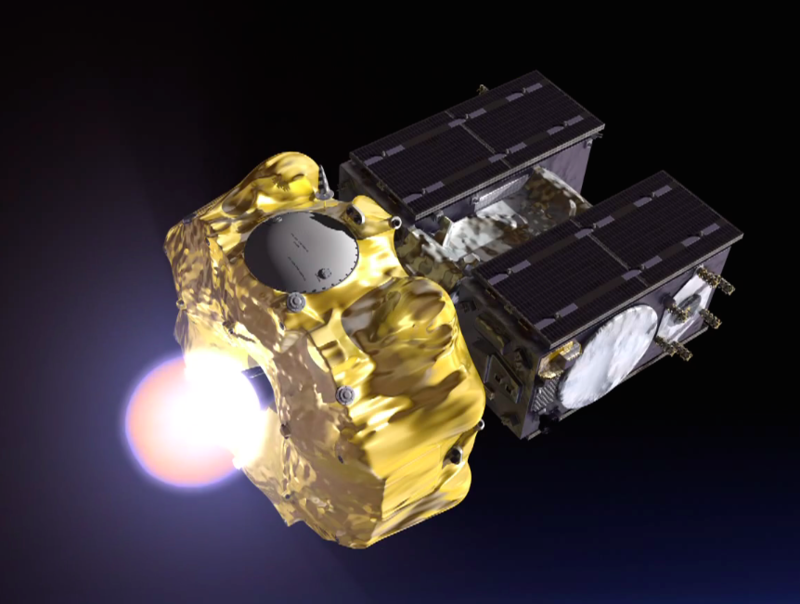 The Fregat main engine shuts down after a 4-minute, 22-second burn to inject the Galileo satellites into a circular orbit at an altitude 23,522 kilometers (14,615 miles) and an inclination of 57.39 degrees. 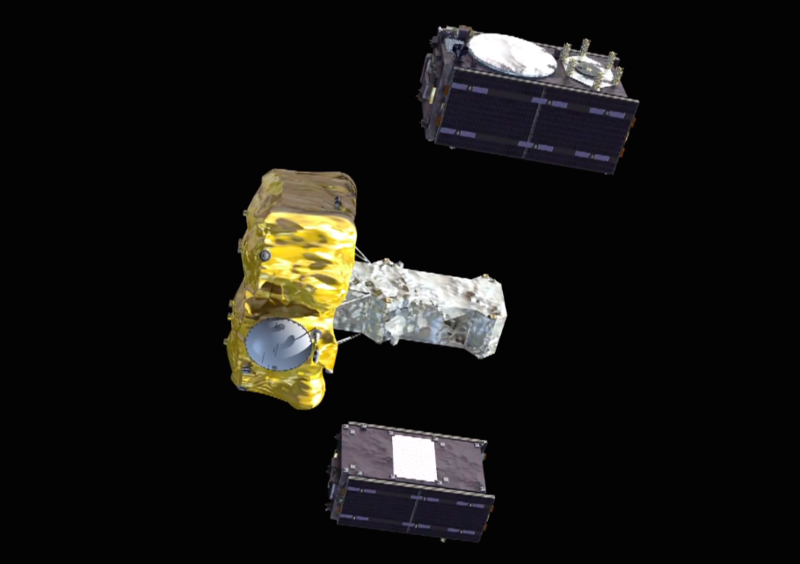 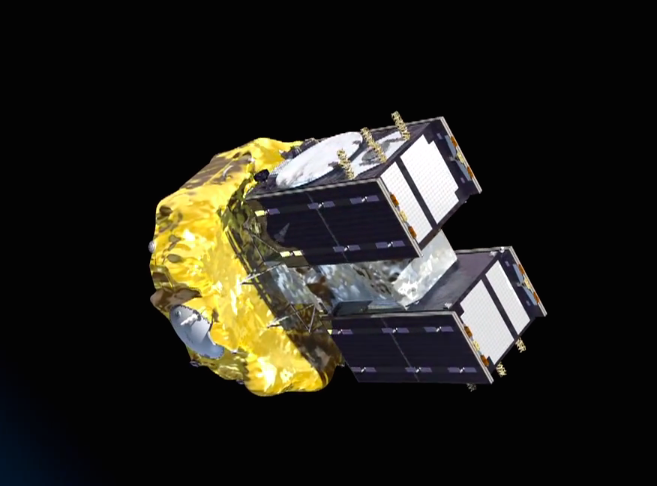 The two Galileo navigation satellites deploy from a dispenser on the Fregat upper stage.